Linda: I am so pleased you could stop by to chat with me. You’ve just released two books, Son of Promise and Silent Harmony. Can you tell us about bit about them? Caryl: May I first say what a pleasure it is to be with you today? I so appreciate this opportunity, Linda. My readers met the main characters in Son of Promise, Travis and Emma Lee Buckmeyer when they married in the final installment (book ten) of my Texas Romance Family Saga, Chief of Sinners. I really loved the two of them and decided they needed their own novel, but it couldn’t be a romance, so I’m calling it a Companion book to the series—women’s fiction. It’s a story of redemption, and conquering familial love, of truth and lies and of moral choices resulting in consequences. Travis has wanted to tell his wife of a long ago indiscretion, but keeps putting it off due to multiple miscarriages, but time has caught up with him. That morning, he has to tell her he has a twelve-year-old son from a one-night-stand because he’s going to pick the boy up from a reform school and intends to bring him home. Bringing the juvenile delinquent into their lives means lots of conflict all around. It’s set in 1950—the year I was born. 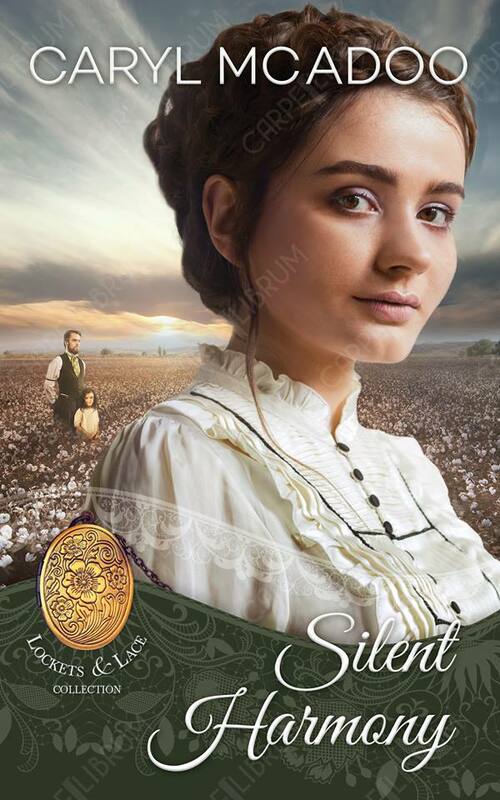 Silent Harmony is a part of a ten-book collection called Lockets and Lace. The novella is set in 1867, just after the Civil War that took the lives of the father and the oldest sister’s husband, leaving three Parker sisters living alone together on their northeast Texas prairie. The arrival of the story’s hero, a preacher form the east coming to start a School of the Deaf in the area at his mother’s family home place, brings even more trouble between the sisters as all three have their eye on him. The title character, Harmony is the four-year-old daughter of the widowed sister, Lucy. The middle child, Servilia is a gossip and keeps a sharp tongue. With a chip on her shoulder, she resents both sisters and her deaf niece. The girls’ mother passed at the birth of the third sister, so Lucy’s raised Melody and loves her as her own—the same way Melody loves Harmony. I recently blogged about my research on Schools of the Deaf Schools of the Deaf . Linda: Those sound fascinating! You have written numerous books. Where do you get ideas for your stories? Linda: You have written Biblical, historical, and contemporary fiction. How do you decide which genre you’d like to write in, and do you have a favorite? 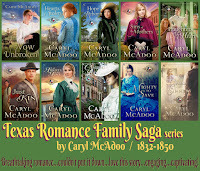 Caryl: Each time I start a new book, I have that vague idea which determines the genre. I love them all and for different reasons. In the Biblical fiction series The Generations, it’s making Biblical characters come alive. I’m a real stickler to adhere to the Word, so I do not change His story, just add dimension to the characters who were just people like us with troubles and trials and emotions. You will find though that the perspective on the Scripture might take quite a different turn from the traditional stories we learned as children in Sunday School. My best-selling novels are the historical romances, and because I have a beloved (fifty years of marriage to my co-writer husband Ron in June 2018!) I enjoy writing these love stories. And though I was no history buff in high school, I find myself enthralled with the research for the different time periods to find how those people lived. Contemporary romance is fun because I can just write away, very little research. Because I have seventeen grandchildren, I also write for Mid-grade and Young Adults. Ron and I go to schools and I love those presentations and being around the children. I have a thriller, a military story and a couple of mysteries—working on another now—and three non-fiction as well! One of my mentors, Jack Ballas, Berkley’s top western author, told me, “Caryl, pick a genre!” But I never could! As to my favorite genre . . . ummm . . . I will say the historical Christian romances. Caryl: Dreaming up and giving my characters dimension! I think most readers would agree that my stories are character driven. I’m told over and again how they feel like real people, family and friends to my readers. What a wonderful compliment that is. The fun part is the characters become the same to me! Linda: Family is very important to you, and I’m sure you must spend as much time with them as you can, but do you have hobbies or activities you like to pursue? Caryl: I love flower gardening but have difficulty getting up and down like I used to. I love singing—praise and worship songs best. And I’d be remiss not to include playing bridge. 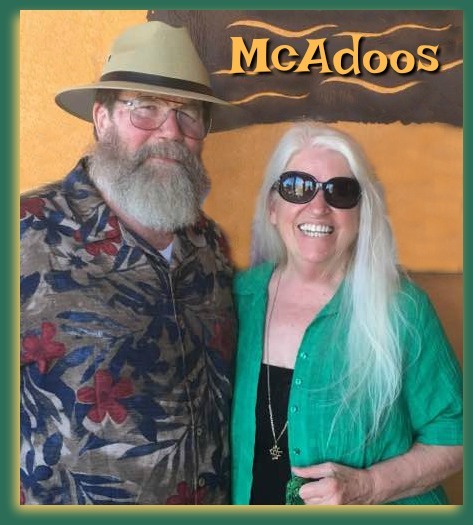 Ron and I play every Tuesday night with several other couples and from that, I’ve been invited to play in a monthly ladies bridge club on Thursday afternoons. What’s your favorite color? GREEN, some might say a little obsessively! My eyes were very green as a child. Emerald is my birthstone. Spring is my favorite season when everything turns green—it signifies new life. I drive a green car, my walls are green, I have green furniture, roof, clothes, purse, sunglasses, date book, coffee cup, and I only write with green ink J Laaaa! What’s your favorite food? 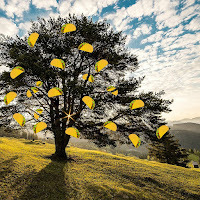 TACOS! 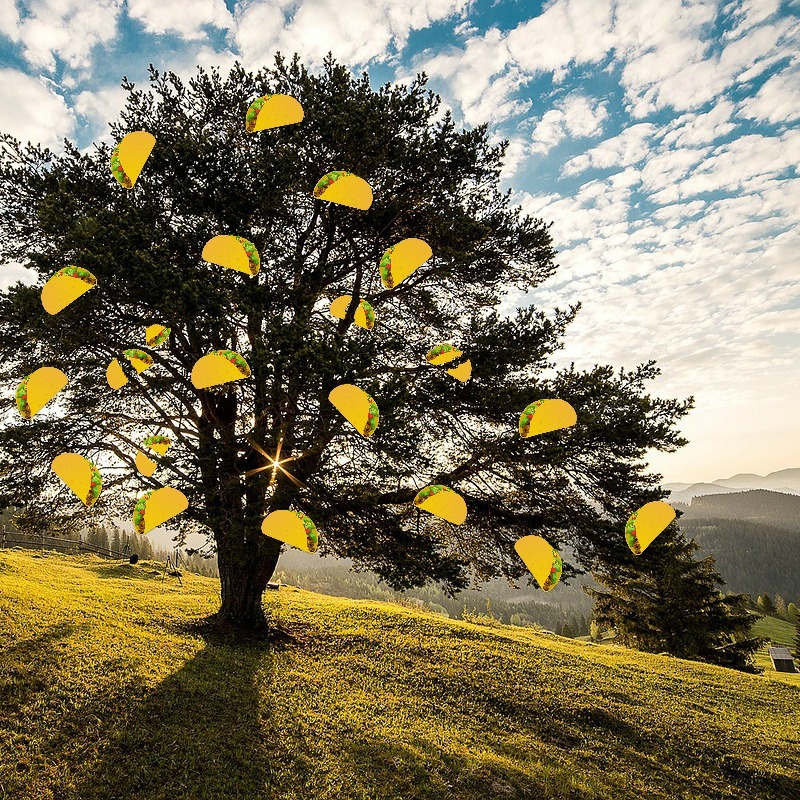 I’m having a Taco Tree in the front yard of my heavenly mansion. Come on by and have one when we both get there! I’ll share! What’s your favorite Bible verse? Oh, so many to choose from, but a ‘life’ scripture is Habakkuk 2:3 For the vision is yet for an appointed time, but at the end it shall speak, and not lie: though it tarry, wait for it; because it will surely come, it will not tarry. a new to me author. I would love to read one of her books. I love the civil war and history and strong ladies. So glad you stopped by Lori!! I'd love for you to read one of my books! Authors love to find "new readers" and much as readers love to find "new authors"!